Multiple Teams · Feb 25 Baseball 2019 Online Store Now Open! Online store is now open for Baseball attire! This store will be open until March 7. 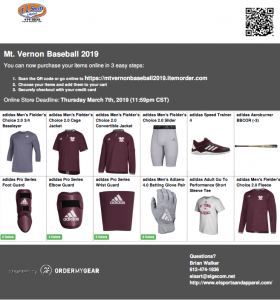 Please use this link to access the store: Wildcats Baseball Store!